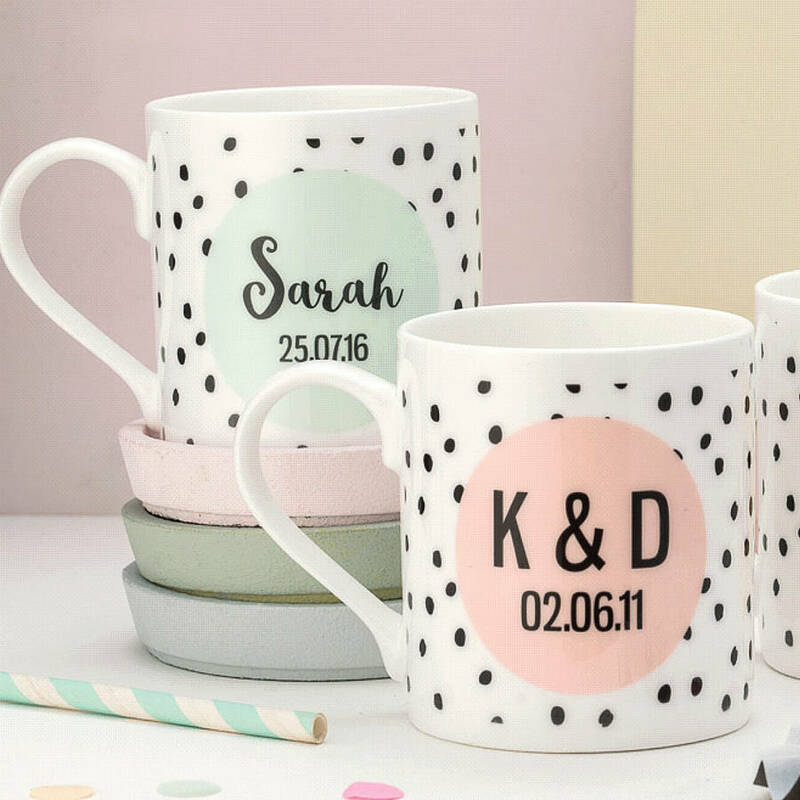 Our fine bone china Personalised Colour Pop Mugs are a gorgeous gift for yourself or a bestie! 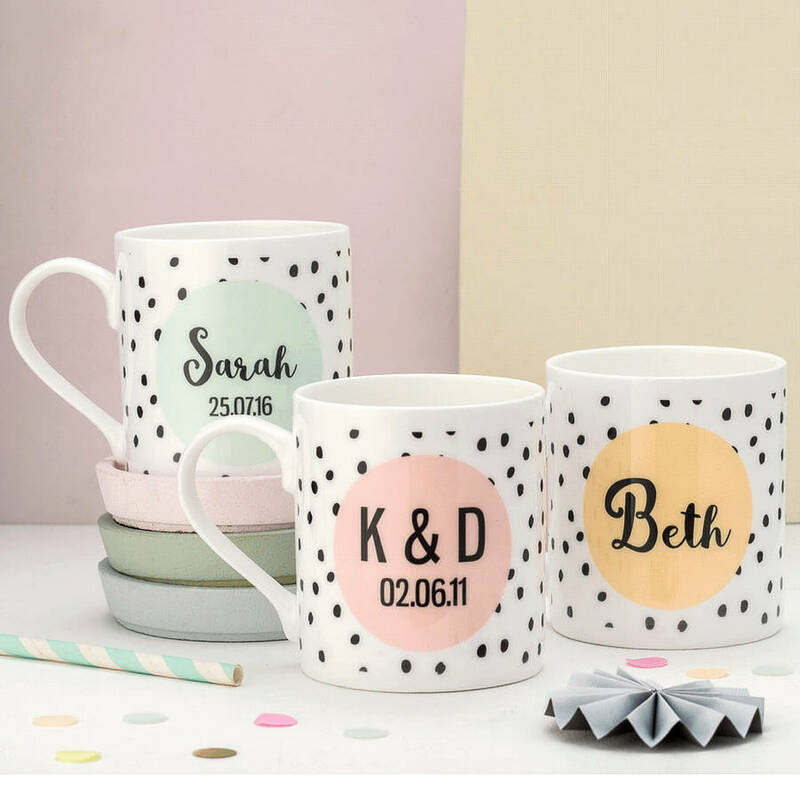 Choose from three different colours on the front of the mug and personalise with your name and an optional date beneath. 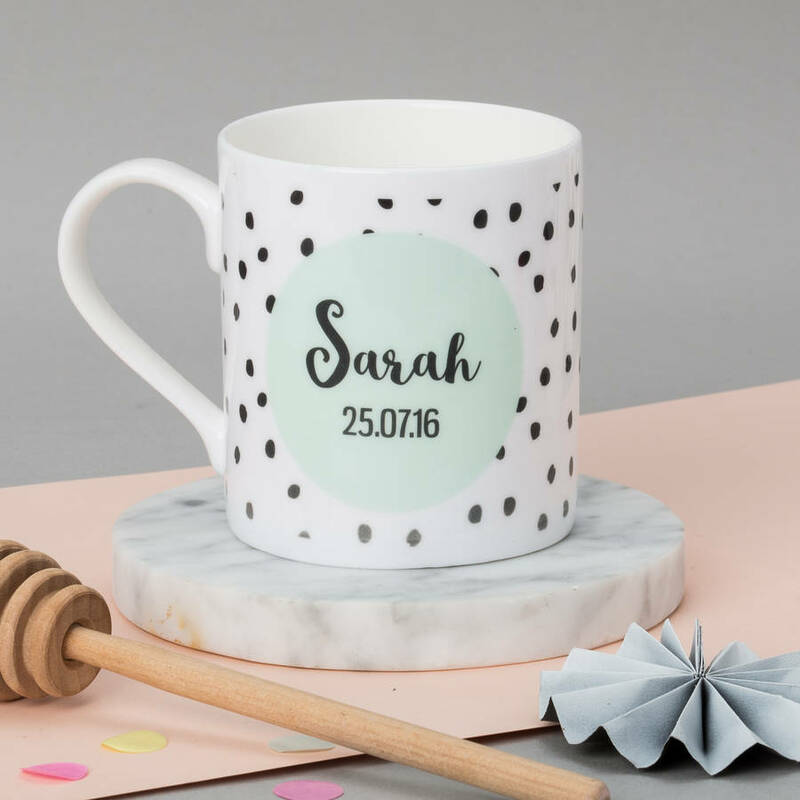 The Personalised Colour Pop Mugs have a distinct style which is sure to add a little excitement to your kitchen cupboard. They make the perfect birthday, anniversary or newborn gift.